Grown steadily, but still down-to-earth. Paul Strähle founded the Strähle joinery shop in Waiblingen. This young joinery firm concentrated on both private customers and business customers for its modules and furniture. Werner Strähle joined the company. A short while later, the first partition wall systems in wood were produced. Strähle continued to grow and moved into the new production site in Eisental, Waiblingen with 3000 m² of production space. The handicraft business evolved over the years into an efficient, progressive company which furnished numerous office buildings and schools with partition walls and cupboard units. In 1997 the second production site opened in Borkheide, south of Berlin. The innovative System 2000 partition wall system with steel mullion construction was registered for patent. The second production site was opened in Borkheide, south of Berlin. Partition wall systems are produced here in 3500 m² of production space and distributed to eastern and northern Germany. The export share also steadily increased, initially focussing on Switzerland and Austria but later featuring system partnerships throughout Europe. Paul Strähle and Florian Strähle join the family business, meaning that as of 2005 the company was led by the third and fourth-generation members of the Strähle family. The production area in Waiblingen was extended to include a modern logistics and dispatch facility with an additional 2500 m² of space. Paul Strähle took over the management of Strähle Raum-Systeme GmbH together with Werner Strähle. The Strähle Acoustic Workshop was opened. It functions both as a showroom and training centre for partition wall systems and acoustic solutions. In October, Strähle celebrated its 100th anniversary in Waiblingen together with over 700 customers, business partners and employees. The newly designed showrooms and office space were opened. 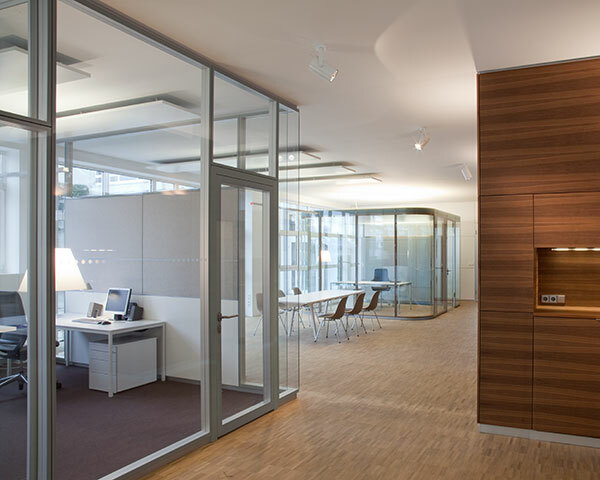 Developers, architects and project developers can experience over 1400 m² of Strähle partition wall systems in an innovative and detailed showroom. Strähle continued to grow. The Borkheide production site was enlarged to include an additional dispatch and warehouse facility and now has a total area of around 6000 m².